Ok, so you have released a hot new single? Great! Now, it’s time to get it out to the people who can really break your single and turn it into a hit – the DJs! 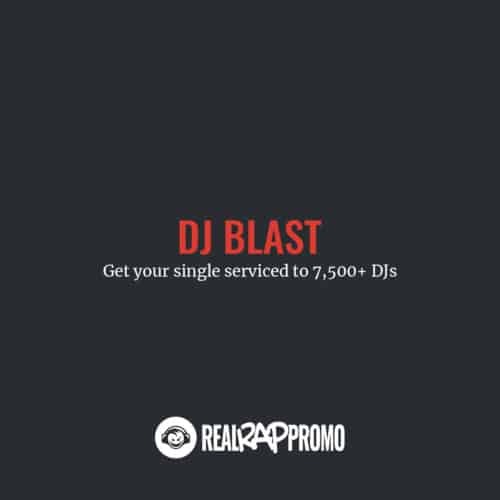 With our DJ Blast, your single will be serviced to 7,500+ DJs. Our DJ contacts include club DJs, radio DJs, and mixtape DJs. The majority of them are located in the USA. Your DJ Pack will also be available to all future DJs who sign up to our list after your single has been serviced. Five business days after we have sent out your single, we will send it out again to the DJs that didn’t open the first email. That way more DJs will be sure to check out your single. This is included for free. Your DJ Pack will be uploaded to our sendspace Pro account where we will be able to tell exactly how many DJs who have downloaded your single. Thanks to our Pro account, the downloads will be fast and there will be no annoying ads for the DJs. What to Include in the DJ Pack? At the very minimum, you should include dirty/main and clean versions of your single in the DJ Pack. But, we also recommend to include instrumental, acapella, and DJ intros (both dirty and clean).